Scots FOI Chief rejects calls for honesty over lack of powers to deal with inaccurate data from public bodies. 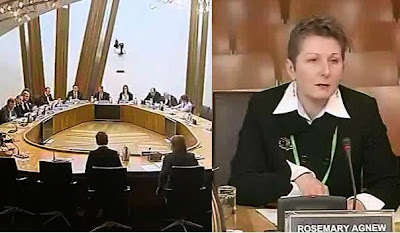 APPEARING to reject calls for new ‘honesty powers’ to deal with Scots public authorities who provide dishonest or inaccurate data in response to Freedom of Information requests, Scottish Information Commissioner Rosemary Agnew has claimed Scotland’s FOI system is “open, transparent and honest” – even though evidence & case examples suggest public authorities are releasing dodgy data in an attempt to avoid public scrutiny of their activities. 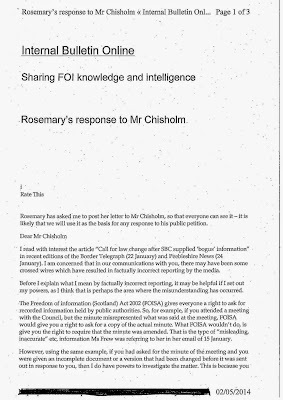 The Commissioner went on to tell the Committee tthe most effective way to deal with FOIs was “getting it right first time” – although many FOI requesters including some msps who use Freedom of Information to find out what Scottish public authorities are really up to, may find Ms Agnew’s claim on this point hard to swallow. ← DOES THE LAW EXIST IN SCOTLAND ANYMORE?